Saw one of these and the profile was staggering! Rounded back, no concaving at all! Has anybody else used/seen one? not seen one but as above a few ex club mates bought them instead of the ghost. I like the shape but am guessing the pickup is not the lightest. It's great to see Kooka thinking different in the UK at least. I considered buying a Blade 500 but am happy it went with my own B3 design with a convex profile. 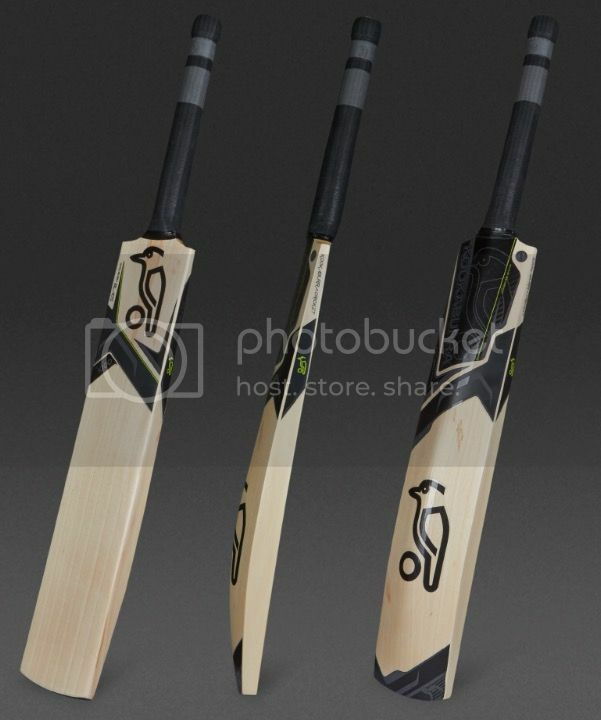 Here is OZ the Kookaburra Storm has the same black colour scheme as the Blade but no convex spine. Booooo. 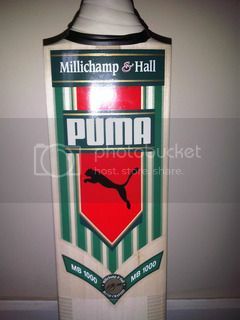 From experience having seen and sold a few, they are IMO a very nice bat. I echo comments which talka bout how good and refreshing it is from Kooks to use a different shape from the usual ones. However, they didn't go well for us at all. I think the fact we only really found them in 2'10 and above (with some exceptions, but predominantly heavy or medium), and the lack of any sort of light pick up, has resulted in them being a bat the customer discards in store based predominantly on the feel in the hands. It's a shame - if they relaunched it with say a shorter blade as is the fashion nowadays, I think they'd be really popular and be able to address the concerns. Hope it doesn't fade away - the all black stickers are gorgeous in the flesh! I havent seen them in the flesh, but in the pictures I am a massive fan of the softs. Very nearly picked some up but probably need to have a look first. Why do we put ourselves through it ? Years ago when they were first released, the Blade was the light option of the Kooka range, from memory. Page created in 0.588 seconds with 41 queries.